Continuing with our solidarity projects we present the case of Joshua from the community of "Balcones". Thanks to your donations we can help him with the physical therapies and rehabilitation he need to relieve the pain of the movement of her limbs, we are sure you will recovery soon! 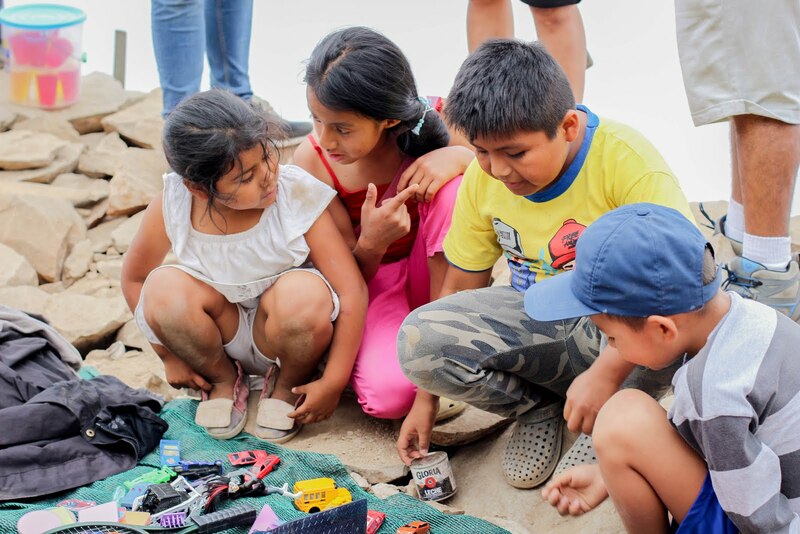 THE ANCIENT PERU: Under the rule of reciprocity!!! When it comes the administration of the Inca’s Empire (Tahuantinsuyo in Quechua), it is necessary to emphasize the operation of a basic principle: the reciprocity. It was common among the peasant communities of the Andean region, before the arrival of the Incas. It consisted in the practice of solidarity and mutual help among the members of a community. For example, the inhabitants of an “ayllu” (a group of families living in the same community), collaborated with each other to plant and harvest in the subsistence fields. 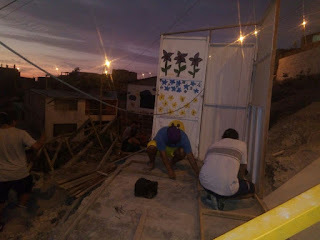 On the occasion of a marriage, the whole community helped to raise the house of the newlyweds. The Incas incorporated the principle of reciprocity of the ayllu, as one of the bases of the economic and social functioning of their Empire. The reciprocity was based on the increase of family ties. That is, the multiplication of kinship ties was necessary for the existence and continuity of reciprocity. It is a great satisfaction to be still living under that rule. 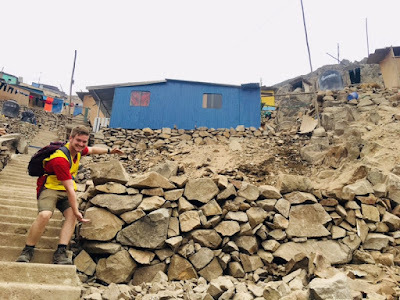 As we are often visiting our communities on the hillsides of Lima, we confirm that a big porcentage of them have a very old administration system that can be compared with the Incas main rule. 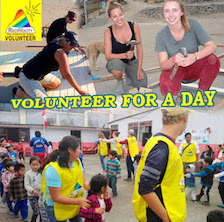 Everybody is helping each others by organising different activities such as: “polladas”, “frejoladas”, “cuyadas”, etc. 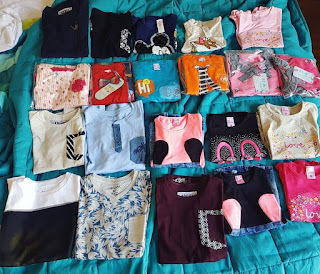 (Food sale), All of them based on gathering money in order to help a family or a person in need. This is how many houses are built and many neighbors count on medical assistance. 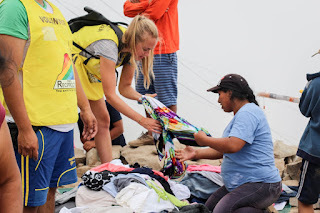 Reciprocity was created based on helping our Andean communuties living in Lima 7 years ago under the name of a Tour Company (Haku Tours) which is generating the income that is used for running our social projects. Haku Tours & Reciprocity want to thank you all for the support and happiness you help us to give to our communities with every donation or tour you take. We couldn't have done it without the generosity of our donors! If you'd like to donate, please take a look at our Donations Guidelines and contact ong.reciprocity@gmail.com today! What a great way to start such a wonderful project. With good energy and attitude. We want to give something very special to our communities, especially our children, encouraging and promoting their education. 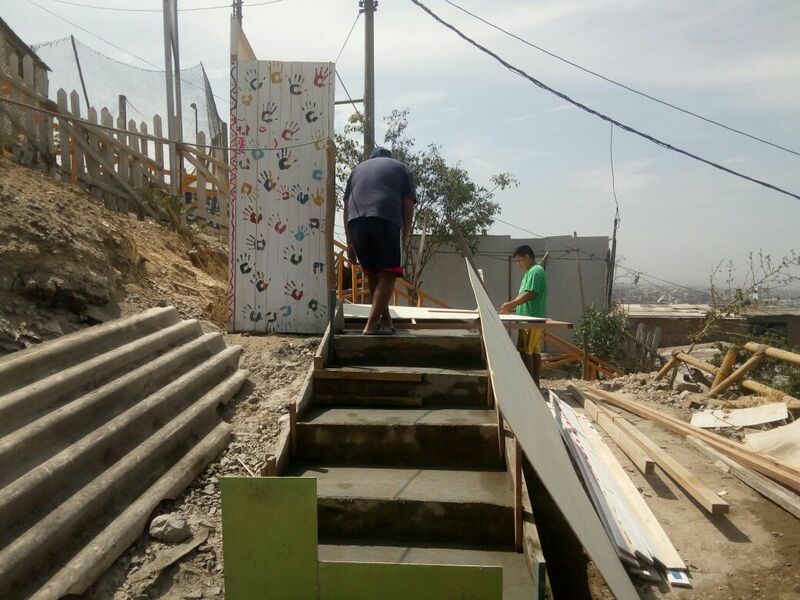 We started with the construction of the kindergarden, for the children of the community of Bello Horizonte, located in Villa El Salvador. Together we are more...!! Whoever said things don't make people happy didn't see the look on the community members' faces when we brought bags and bags filled with clothes, shoes, household goods, school supplies, etc. 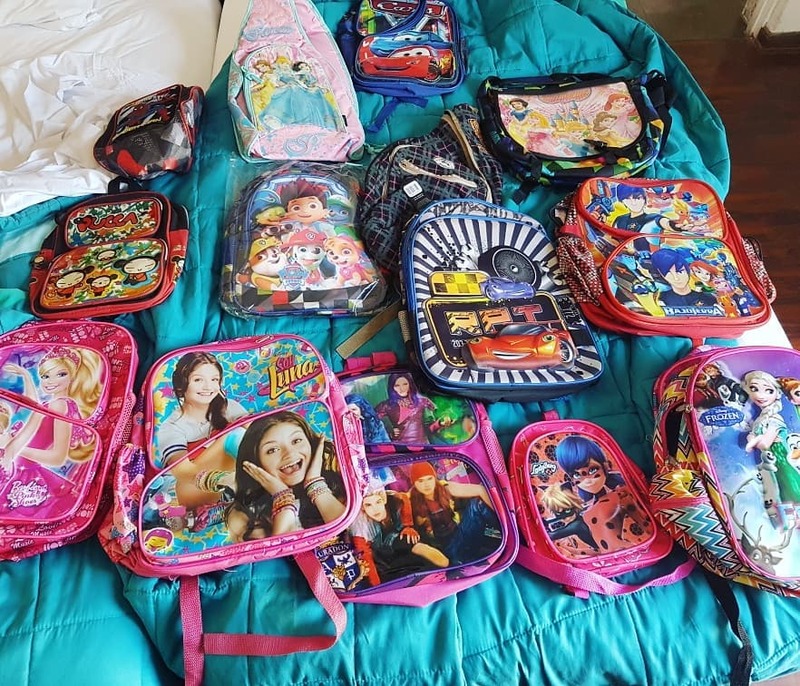 Thanks to all of our generous donors, we were able to collect a very handsome amount of items to share with the community of Hijos de Praderas. 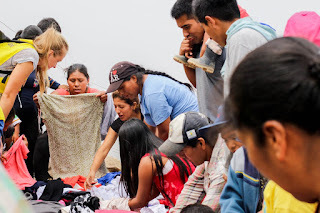 However, in order to make sure that community members were only taking the items that they actually needed, we decided to hold feria (open market) to sell the items for a very small price of S/. 1-5 PEN, which is equivalent to about $0.30 - $1.50 USD. Putting a price on the item, albeit very low, encourages community members to prioritize purchasing the items they need. Furthermore, all of the money raised will be directly donated back to the social projects in that same community. This approach was very beneficial as we were able to both raise S/. 534 and continue to build relationships with the community members through personal interactions. 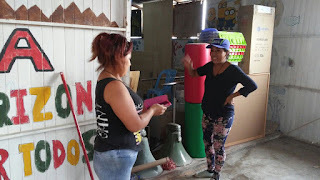 The community gathered around in excitement for the feria, and we were so excited to further establish a working relationship with the Hijos de Praderas community. Getting to know the community is critical in being able to successfully implement projects with the help of the community members. 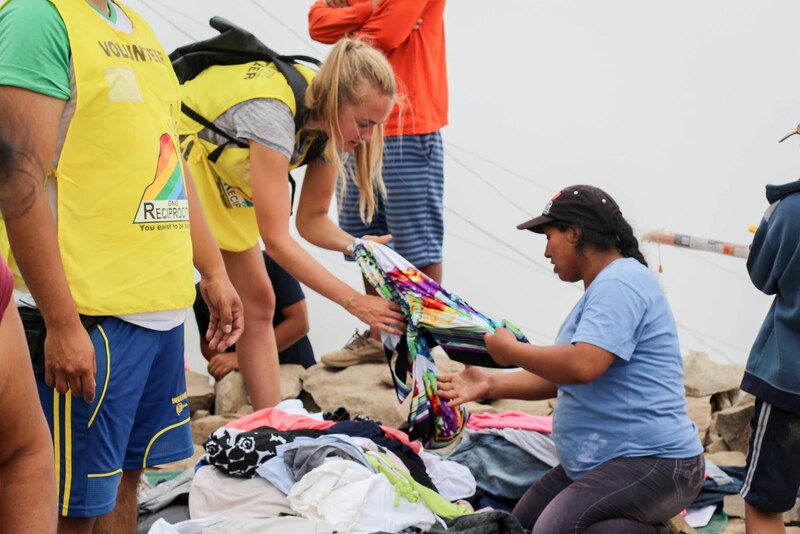 By the end of the ferias, there were few items left that were then donated to the community members that were most in need. In order to decide who will benefit most from the items, we work with the community leader - she is the most aware of the community members' financial and personal situations. 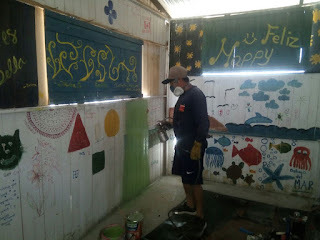 Thank you to all of the donors, volunteers, and community members that made the ferias such a success! When looking up at the shanty towns, we can see a range of communities: some are developed, some are still building, and some are abandoned. As these human settlements are spread across various districts, it is hard to imagine that this area was once desolate, with no life. The greatest mystery to outsiders is how communities have been able to build roads, houses, stairways, etc. on the steep, rocky terrains of the mountains. 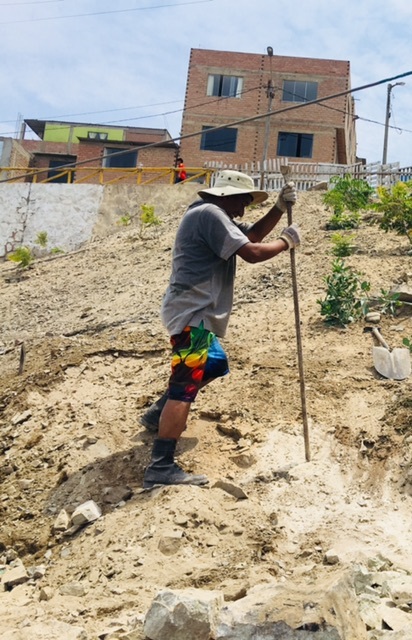 This mystery was unveiled to us in the past month, as the Reciprocity team and our volunteers have been working together with two communities (Pircas del Mirador & Bello Horizonte) to level the ground to build and expand a wawawasi (daycare center) and school, respectively. - Huge boulders from the mountains are burned so that they can be broken down into smaller pieces. - These smaller pieces are then aligned carefully to create a contention wall that will help prevent erosion and landslides. 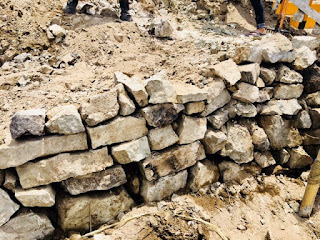 - More rocks are added to the area to build a strong foundation. -The platform is eventually covered with dirt and sand to fill in the holes. Being a part of the initial steps of creating a livable space opens our eyes to so many possibilities. Using tools we've never even heard of allows us to broaden our horizons. 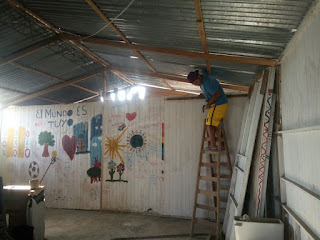 It is during these experiences when Reciprocity realizes that we learn so much more from the communities than they do from us. 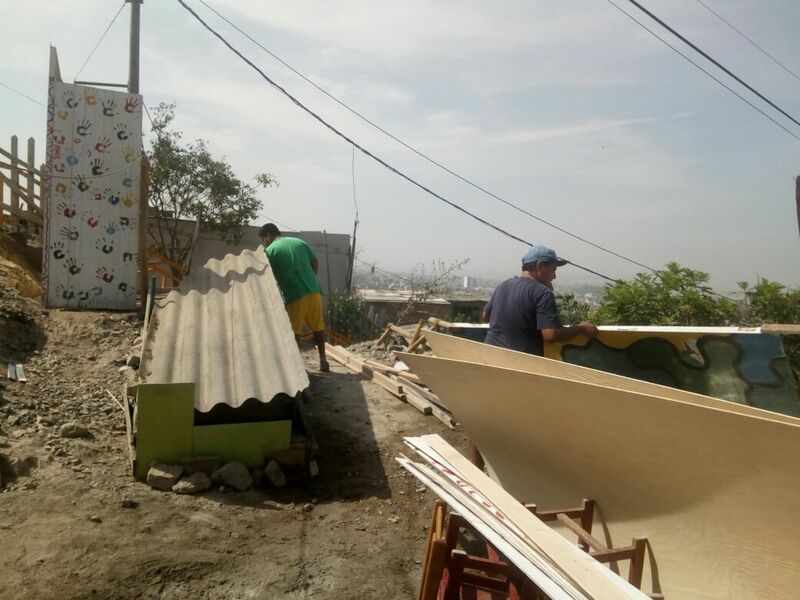 Volunteers are a huge factor in Reciprocity's work with the shanty town communities. 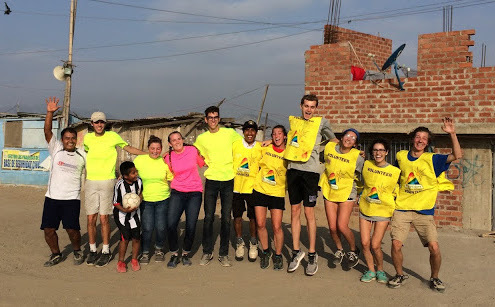 As we are a small nonprofit, we really value the time and effort our volunteers put into joining us on Volunteer Days so that we can successfully implement our social projects. We want to give a big thanks to all of our volunteers that have become part of the Reciprocity Family! If you want to learn more about how you can volunteer, please take a look at our Volunteer Page or email ong.reciprocity@gmail.com!